Coder Chicks Team - RAK It! The RAK It! 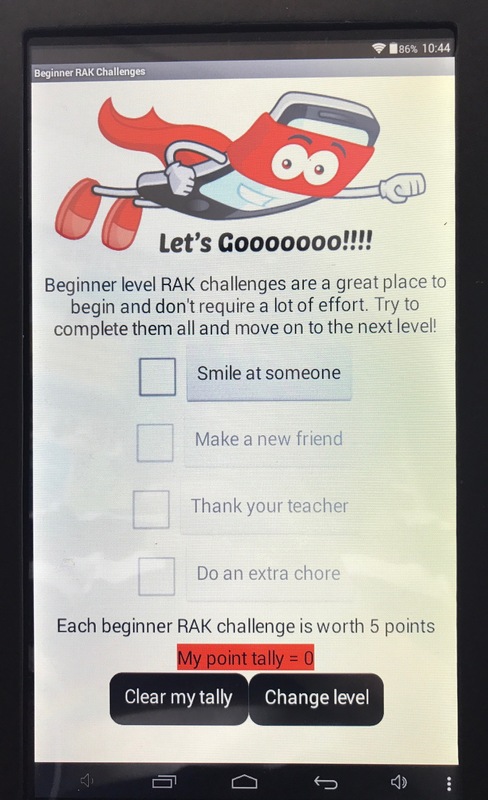 app presents a series of Random Act of Kindness challenges for kids to complete, specific to their local area. It encourages kids to reflect on their actions and the consequences of these for others, with the aim of being an early intervention strategy to tackle bullying. The app promotes kindness and looking for ways to make the world a happier and kinder place for us all to live in.